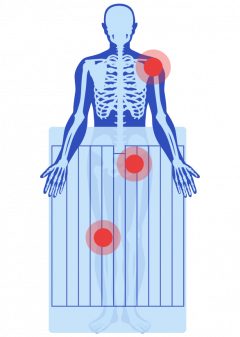 Lawsuits claim Bair Hugger brand surgical warming blankets led to serious infections that required additional surgery or amputations. As of April 2019, there were 5,036 active lawsuits in federal court over the blankets. 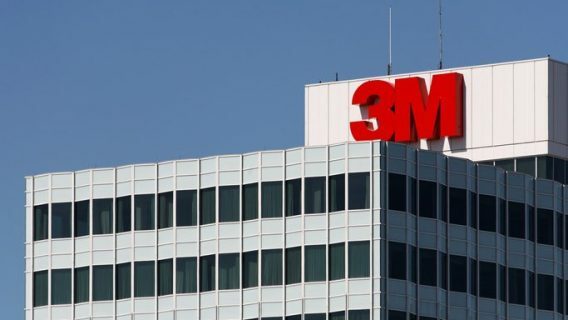 Manufacturer 3M won the first bellwether trial in May 2018. Bair Hugger lawsuits claim the surgical warming blankets affected airflows in operating rooms, allowing contaminants to get into patients’ incisions and cause infections. A judicial panel combined federal lawsuits from across the U.S. in a Minnesota federal court. Models named in lawsuits include Model 500, Model 505, Model 750 and Model 775. Companies being sued are Arizant Healthcare, which has produced Bair Hugger warming blankets since 1987, and 3M Company, which acquired Arizant for $810 million in 2010. FDA approved Bair Hugger as a surgical warming device. Patient Tommy Walton filed the first Bair Hugger lawsuit, asked for $1 million. More than a dozen other patients filed lawsuits in federal courts. A federal panel combined the first 14 Bair Hugger lawsuits into a multidistrict litigation. The MDL judge selected five cases for bellwether trials. Manufacturer 3M won the first bellwether trial in Minneapolis. 5,659 Bair Hugger lawsuits had been filed and 5,036 remained pending in the MDL. The lawsuits focus on the most serious Bair Hugger complications. They claim people developed serious infections after surgeries involving the devices. Some people lost limbs to infection or had a loved one die. Many of the patients suing had knee and/or hip replacement surgeries resulting in deep-joint infections that were difficult to treat. Patients say they developed MRSA (methicillin-resistant Staphylococcus aureus), which is an antibiotic-resistant infection that can lead to skin infection, sepsis, pneumonia and bloodstream infections. One Bair Hugger lawsuit has gone to trial so far. It ended in May 2018 with a verdict in favor of 3M. Louis Gareis filed the lawsuit. His lawyers sought more than $200,000 in damages. They promised to appeal the verdict. Gareis underwent hip replacement surgery in which doctors used a Bair Hugger device. Gareis blamed the device for infections. There have been no publicized settlements. People who have filed suit have asked for as much as $1 million in damages from 3M and Arizant. Tommy Walton had hip replacement surgery in March 2011 and filed the first Bair Hugger lawsuit in 2013. Walton developed a deep-joint infection after his surgery and required 15 follow-up surgeries to remove the infection. Barbara Libby claimed she developed a deep-joint infection and required seven additional surgeries because of a Bair Hugger device. Libby says she now suffers from permanent disability and decreased mobility. Rosie Bartel developed a MRSA infection requiring 27 additional surgeries following a knee replacement in 2009. Eventually doctors amputated her right leg below the hip. In addition to her physical suffering, her medical problems caused her to lose her job and her home. Timothy Johnson claimed he developed a deep-joint infection after total knee arthroplasty in 2010. His leg had to be amputated when multiple revision surgeries failed to remove the infection. In addition to compensation for pain and suffering and medical expenses, Johnson is seeking punitive damages. Ruth Childers claimed that use of a Bair Hugger device gave her an antibiotic-resistant infection following knee replacement surgery in 2013. She had to have her leg amputated above the knee. She is seeking $1 million in damages. The U.S. Food and Drug Administration (FDA) has received hundreds of adverse event reports, including multiple reports about patient deaths, relating to Bair Hugger devices since 2013. In August 2017, the FDA said it was aware of infection concerns with the blankets. But the agency recommended that health care providers continue using them. The FDA sent a letter to health care providers highlighting the benefits of patient warming devices during surgery. These included less blood loss, faster recovery and decreased infection risk. Since approving the first Bair Hugger warming device in 1987, the FDA has issued at least 14 additional clearances for changes or new versions of the devices. In January 2018, 3M recalled 165,000 Bair Hugger warming blankets for a design defect. Some blankets failed to fully inflate after the company redesigned the system’s underbody blankets. 3M warned in its recall letter that partial inflation could prevent proper warming. An adverse event report to the FDA claimed a patient suffered hypothermia during surgery in which a blanket failed to fully inflate. The device was among the lots later recalled. The patient required intensive care unit treatment to regain normal body temperature. Neither 3M nor Arizant has issued a recall of the blankets due to reported infections. “This verdict affirms the science behind the 3M Bair Hugger system, which has been proven to be a safe and effective way to warm patients during surgery,” the statement said. 3M and Arizant continue to advertise the blankets as safe and effective in all surgeries, including orthopedic procedures. The manufacturers contend that 170 studies have found forced-air warming to be safe. However, Dr. Scott Augustine — the inventor of Bair Hugger products — claims those studies are misleading and measured the wrong things. He has urged 3M and Arizant to recall the devices.